I really want to know which OS is better and the best in terms of Security, as cyber crime and all these stuffs getting higher I want to be sure which OS will be the better in Security and then use it, so can you tell me which OS is better in terms of security? Is it Windows or Linux? Re: Which OS is better in terms of security? Is it Windows or Linux? linux provide better security than windows ... because.. In my view both are secured. Many said that Windows is not so Secured to Linux. But main reason why Windows is highly attacked by Hackers or viruses is that it is more popular in the recent days when compared to Linux. It interacts with the User in every Suspicion. But Linux is some what Better in terms of Security as Linux provides Security in Multi User Paradigm but Windows give in terms of Single User Paradigm. Both of these are vulnerable to virus attacks, specially windows. If you want OS for better security , then it iOS or Apple Mac, you dont even need any anti virus for these operating systems. But still if you are using Windows, install some good Anti virus programs , & update it regularly , then it works better. Any day Linux is better than Windows in terms of security.Now you'll be wondering what's so special in Linux that it is more secure,the answer is quiet simple.In Windows, users are generally given administrator access by default, which means they have access to everything on the system even the viruses.While Linux, on the other hand, do not provide such "root" privileges to users rather, they're typically given lower-level accounts which means that the viruses won't have the root access at any instance to do damage system wide.Moreover being of open source nature it gets monitored more frequently than windows and get more updates. Than Linux is the most secure OS in the world. But there are many drawbacks of the Linux system. It is not as user friendly as the windows OS and there are limited applications which can be run on Linux. I think linux is better than window . becoz many have problem with old files and folder , virus , software and etc. so thas y linux is better than window. Hii my friend...if you comapre linux with windows in terms of security, then definately linux is more secure than windows..
1-One of the biggest advantages in terms of security for Linux lies in its huge, highly-skilled and diligent community. 2-That is not to say, however, that Linux is invulnerable. It is indeed facing an increase in threats as it gains popularity. Yet, there is a limited set of security solutions available. The number of vulnerabilities requiring patches is growing, too. 3-Linux systems are by no means infallible, but one of their key advantages lies in the way account privileges are assigned. In Windows, users are generally given administrator access by default, which means they pretty much have access to everything on the system, even its most crucial parts. So, then, do viruses. It's like giving terrorists high-level government positions. 4- most Linux users don't have root access, however, it's much harder to accomplish any real damage on a Linux system by getting them to do something foolish. Before any real damage could occur, a Linux user would have to read the e-mail, save the attachment, give it executable permissions and then run the executable. In case of Linux they are invulnerable to these attacks . So you don't need any software like antivirus . > Linux has monoculture effect i.e. it can be run in any architecture . In terms of Security, Linux is better than Windows. Linux provides security in Multi-user Paradigm while Windows provide security in Single-User Paradigm. But the main demerit of Linux is that, it is not user-friendly. That means, user will take time to become professional user in Linux. YES, Linux is better then window operating system this is due to the fact that it has a lot of features then any other operating system has. >> The compatibility of linux is more useful rather then other windows because the security of linux is very high, it protected all your system from virus attacks. >> More of business or you can say professional companies proffer the linux to use. >> Linux is useful because it is virus free virus can not affect the data of yours. SO DEAR IT SUGGEST YOU TO USE LINUX THEN WINDOW OPERATING SYSTEM. If you compare windows and linux ,then both of them are vulnerable towards malware and attacks. Though linux holds an edge over windows. Windows is very poor when it comes to security. But for me go for ios or wait for the new windows 8 may be this issue will get solved in it. For your question linux is better in security but for other things likes User interface and ease of use and complexity windows winds hands down. Of course, Linux is more secure than Windows but it still can be attacked. Each operating system have their own advantages and limitations. 3. Open source free compatible software, etc. Both Operating Systems are good and Need ful. Graphical mode wise Windows is best and it's working fully efficient. And Commands wise Linux is Good. Because For servers it's need very security and Highly confidential that's why in servers they are using Linux in servers. For clients no need that much of security that's why for clients we can use windows. Windows OS in mainly hacked by the hackers because it is user friendly and popular. 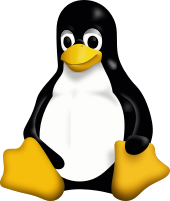 In case of Linux, it is not widely used in India mainly because it is not so popular and user friendly. The malwares, virus programs are mainly written in "C" or any other popular languages. In Linux all program are to be written using the command prompt, and all the hackers can not do it. For which there are very less amounts of virus in Linux which is negligible and hence we don't required to protect it using a anti virus. In windows if we install a good registered anti virus and will update it and scan computers regularly there will no virus attacks in windows also.